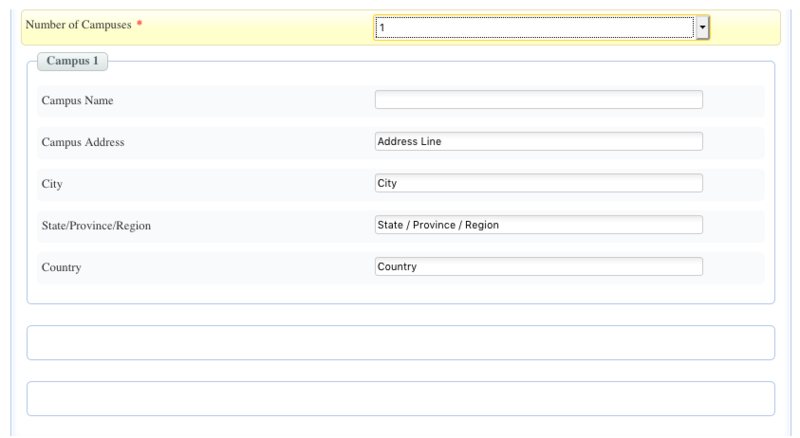 I need some help on visibility rules or Actionscript on the element "select from list" on my joomla breezing form. and also 3 sections: Campus1, Camus2, Campus3 to collect information. Depend on the selection numberofcampuses, Sections Campus1, Campus2 or Campus3 will be visible on the Form. When user select 1 from the drop down only section 1 will be visible. When user select 2 from the drop down section 1 and 2 need to be visible. When user select 3 from the drop down all the sections 1,2,3 need to visible. When user select 1 again from the drop down, section2 and 3 need to invisible. Let me know whether you have managed to set this for your form and whether it works as you wanted. Above did not work even though I renamed my elements exact as you have named, sure why but following are the exact codes I need. It is working. But I still prefer to get this work with a function. If you have time to guide me.